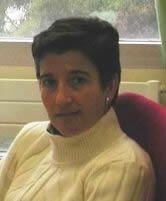 Sara de la Rica is an Associate Professor at the Department of Economics, Basque Country University (Spain) since 1995. Her recent research is mainly focused on Gender Economics, on the one hand, and Immigration, on the other. Regarding the former, she is particularly interested in women’s reconciliation between working and family life. With respect to immigration, her research is focused not only on the economic outcomes of immigrants in Spain (social and economic assimilation) but also on the impact of immigration on Natives. Sara de la Rica has published papers in journals such as Journal of Human Resources, Economica, Journal of Population Economics, Industrial and Labour Relations review, among others. At present, she is the Director of a Research Grant from the Bank of Spain-FEDEA to conduct microeconometric research on the Spanish Labour Market (2007-2011). She is the secretary of the European Society for Population Economics (2005-2010) and the secretary of the Spanish Economic Association (2006-2008). Sara de la Rica joined CReAM as an external fellow in May 2008.